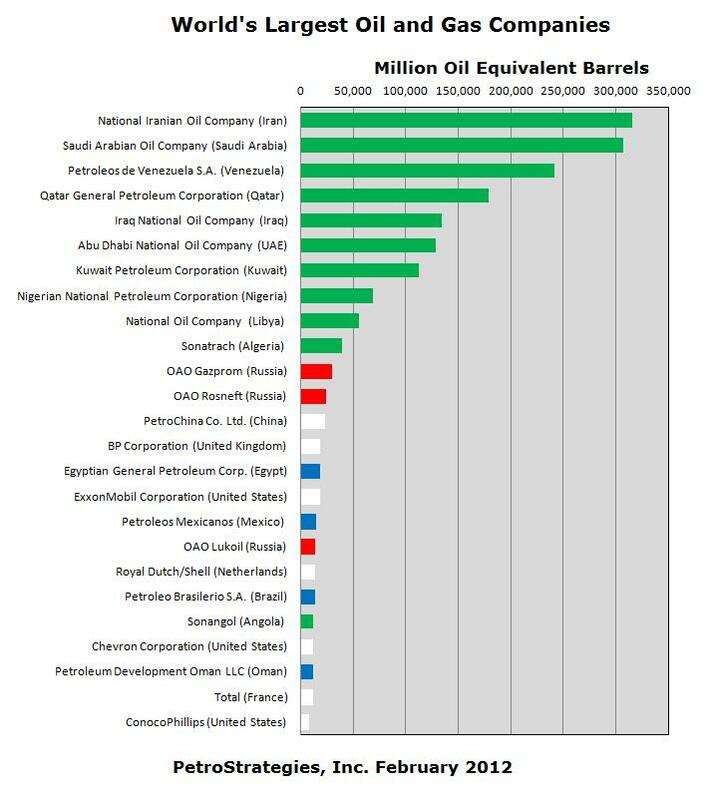 The US and Europe companies are not “Big Oil”. Matter of fact they are struggling to find new places to drill because of the foreign national companies squeezing them out in a non competitive environment. Check out the numbers. Exxon is number 16 in barrels under reserve (simple definition is how much oil they have), and they are a fantastic company. Some of the best, hardest working people I know. And the company is probably the best engineering company on the planet. So dammit quit picking on them!